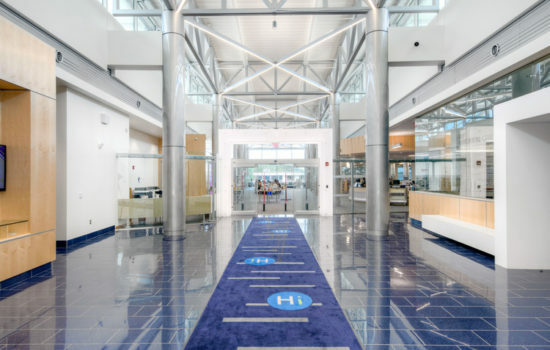 If you re-build it, they will come. 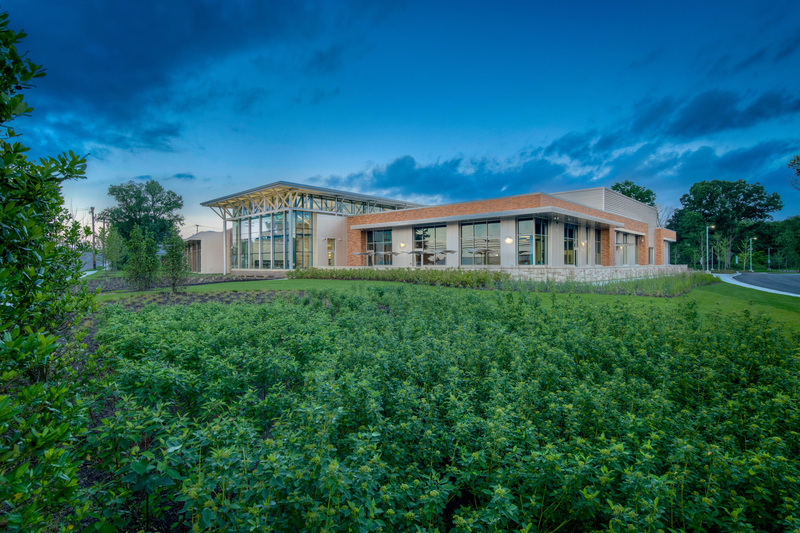 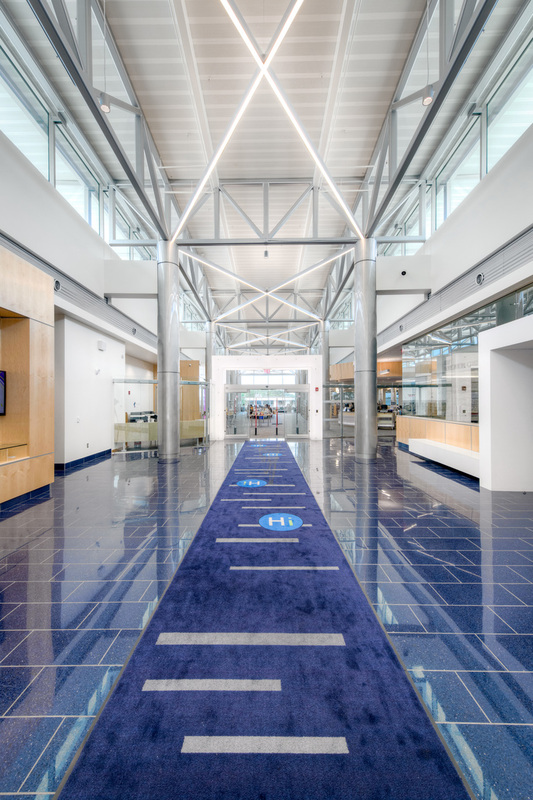 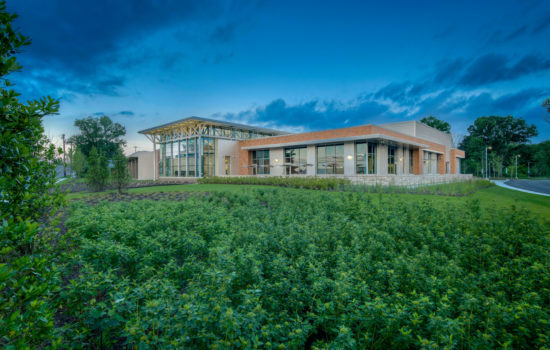 Nestled within a new lush landscape surrounded by plush gardens, Howard County’s latest civic building is the epitome of a structure truly dedicated to public service. Designed to enhance the three pillars of HCLS’ educational mission of: Self-directed Education, Research Assistance + Instruction, and Instructive + Enlightening Experiences: the updated center boasts 35,000 square feet of contemporary space for patrons at every stage of life to enjoy. 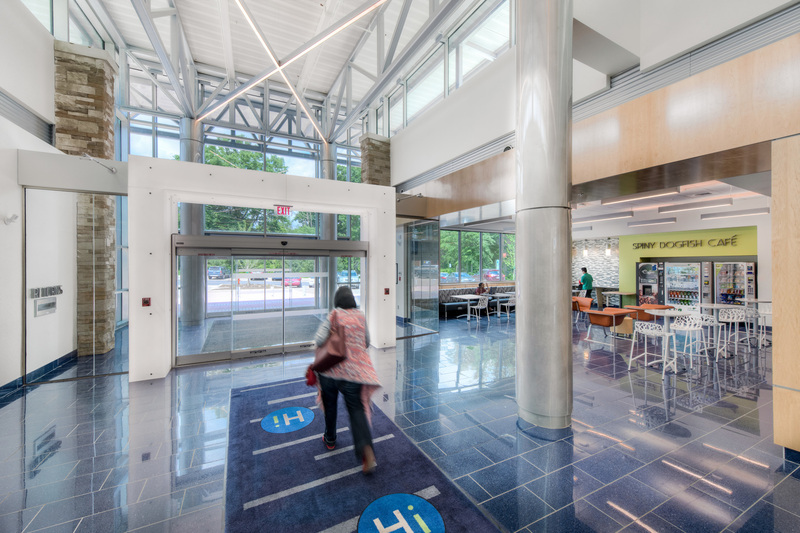 The day starts early in the 50+ Senior Activity Center. 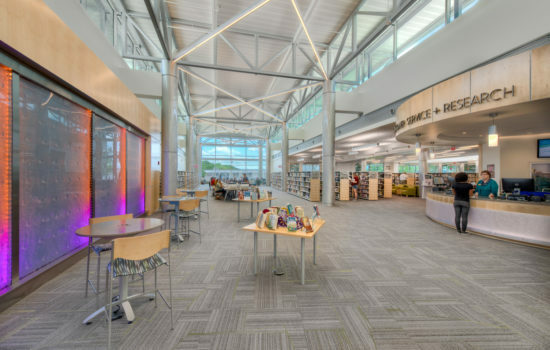 Packed with programming, this accessible space serves as a venue for active adults to interact and make new connections with those in their community. 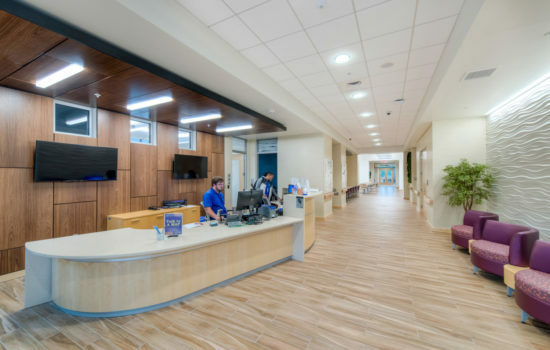 Visitors can enjoy a wide range of activities such as fitness and wellness classes, nutritional counseling, and caregiver support services. 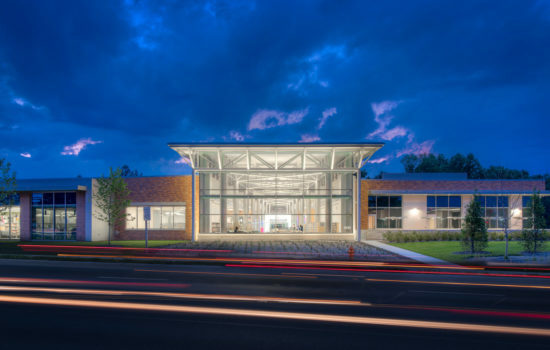 Next door lives a bright and active library which embraces the natural history of Elkridge. 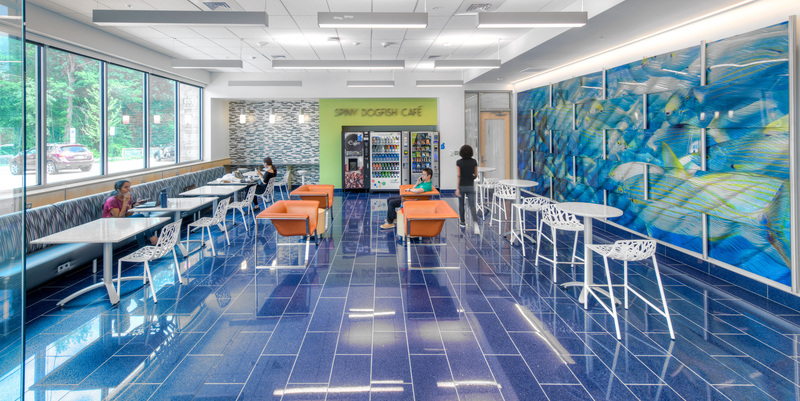 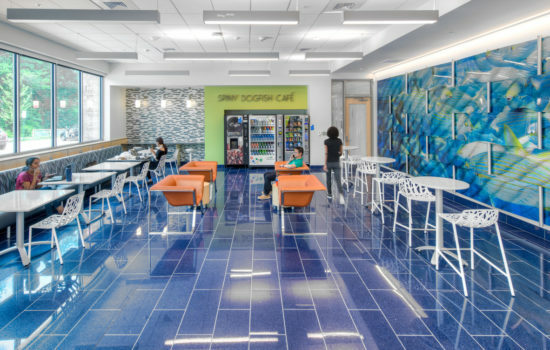 Immediately upon entry, library-goers will find respite in the Spiny DogFish Café, where patrons can fuel up on coffee, an array of beverages, and snacks. 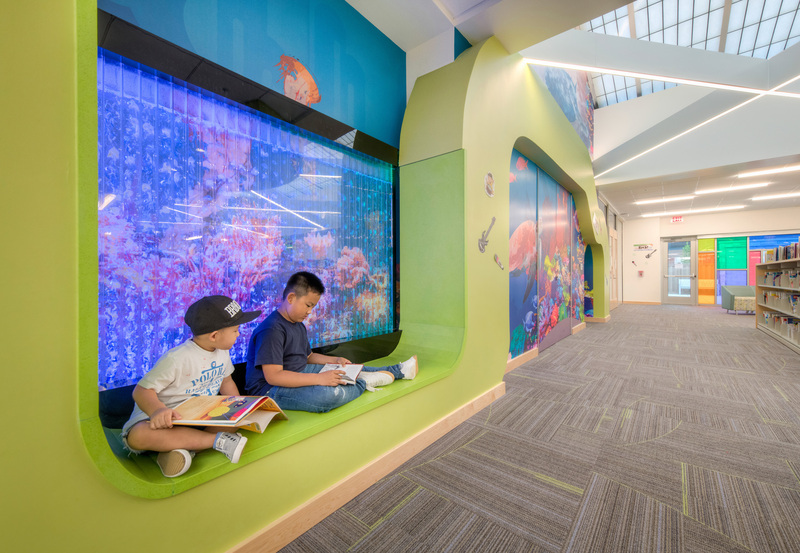 This vibrant aquamarine theme, which pays homage to Maryland’s 39-mile long Patapsco River, follows visitors as they navigate the library’s open and lofty floorplan complete with built-in bubble walls reminiscent of riverbed pebbles, and coral themed murals throughout the main stacks, into the Teen Area, and finally making a big splash in the Children’s Reef. 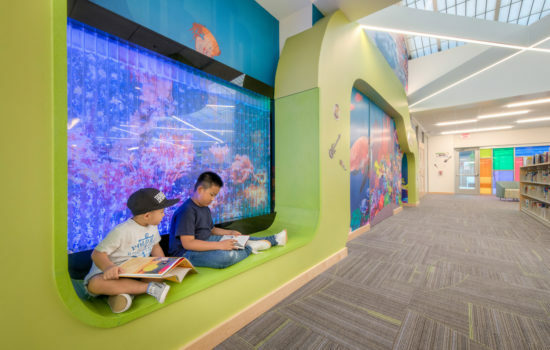 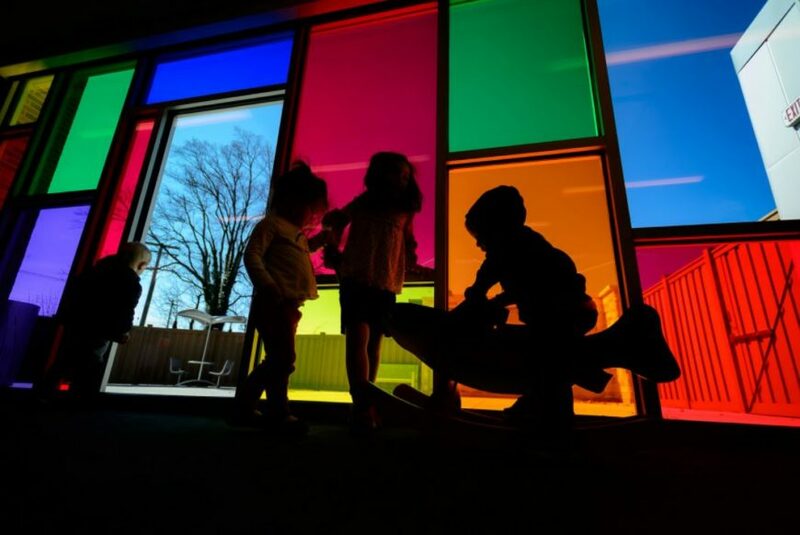 Anchored by a colorful glass storefront, the Reef is popular among kids for both Storytime and free play. 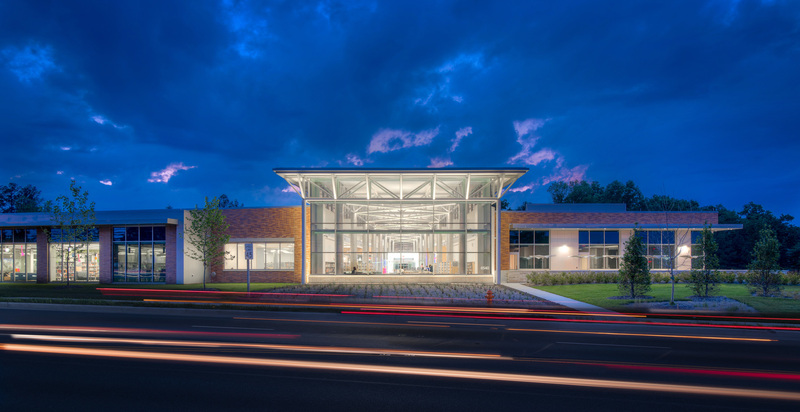 A curved stone wall, representative of Elkridge’s historic stone structures and mills, leads to the most unique aspect of the new library’s expanded collection, the DIY Education Center. 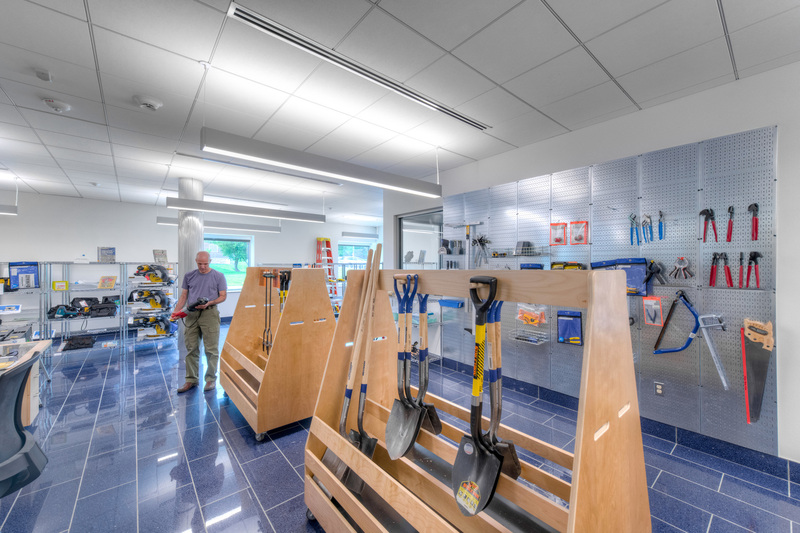 This tool lending library is the most extensive of its kind in the state of Maryland. 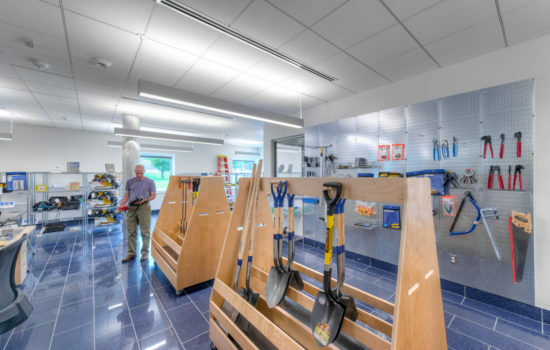 Crafters can take a class or borrow an array of tools, including building, baking, and gardening equipment. 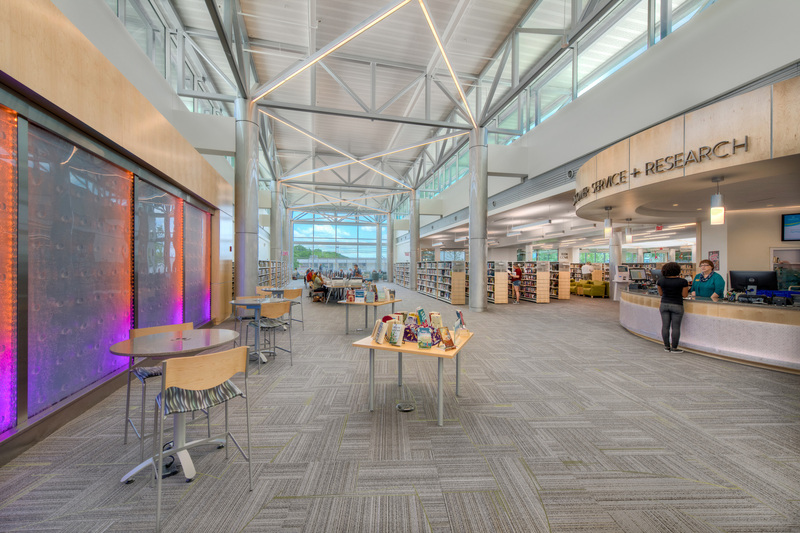 The overwhelmingly warm embrace of this new community space strongly demonstrates that if you build it, they will come.